"Gracious, that's a lot of bosom you're showing," Magnus went on blithely, gesturing towards Tessa with the burning tip of his cigar. "Tout le monde sur le balcon, as they say in French," he added, miming a vast terrace jutting out from his chest. "Especially apt, as we are now, in fact, on a balcony." 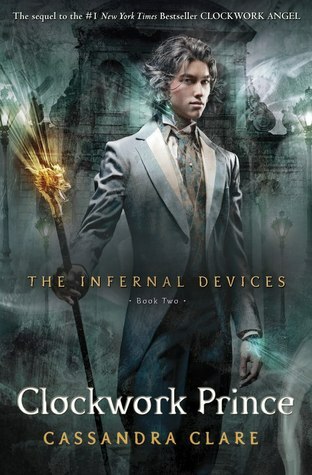 Cassandra Clare's Clockwork Prince is popular today ;) This is the second clip I've read. I need to get to reading this one! Happy Reading! Sounds humiliating. LOL. Nice teaser.